The Windsor hardwood cremation urn is memorabilia chest with cherry finish and a velvet-lined interior. 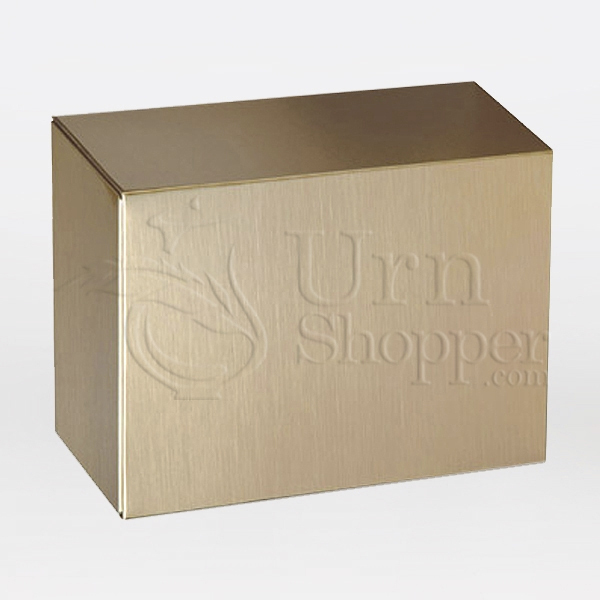 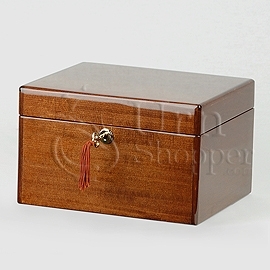 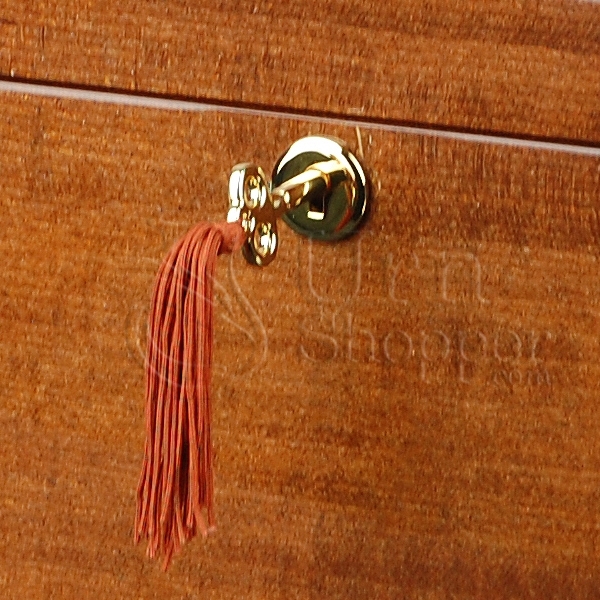 The chest is securely locked with the included brass-finished key with a decorative tassel. 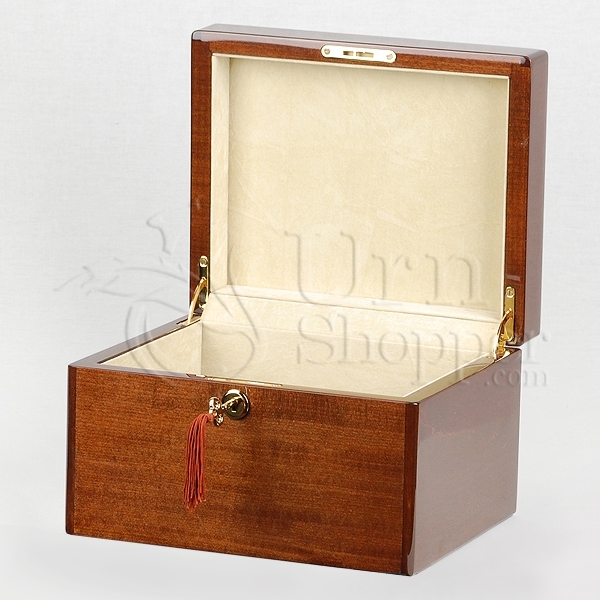 A brown or black plastic insert is included.